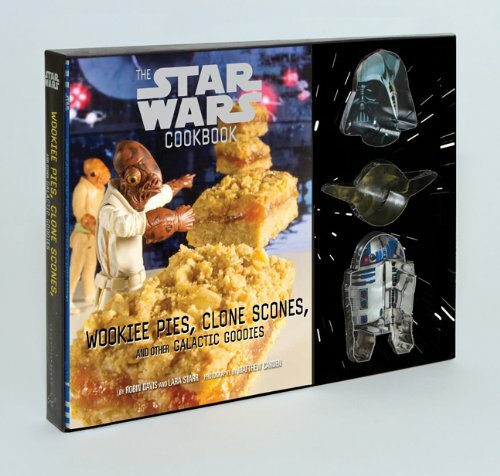 This is a great pack for young fans of Star Wars. 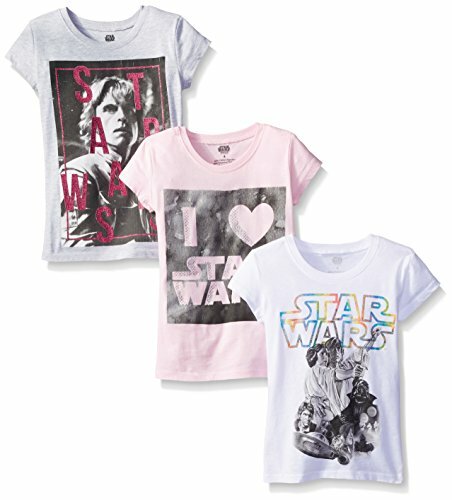 Pick up three officially licensed Star Wars shirts for girls with this one easy purchase. The shirts come in three different colors with feminine designs for a nice variety of Star Wars fan tops. The shirts feature designs from the original Star Wars trilogy. A white top has Star Wars spelled out using the familiar font in a glitter rainbow style. 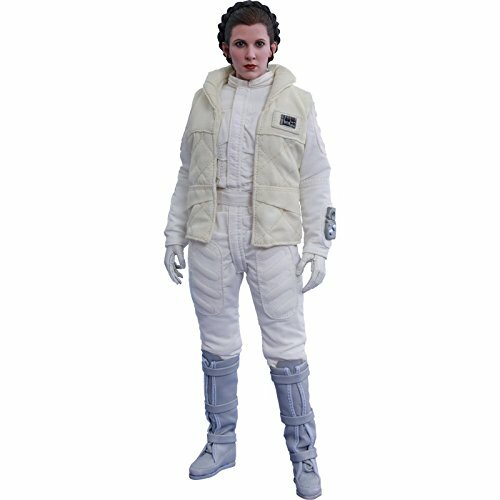 Main characters Luke Skywalker, Princess Leia, Han Solo, and Darth Vader are featured in monochrome print. A pink top has a dark sci-fi style background with the text "I Heart Star Wars" written in negative space. The text is highlighed with gemstone-style elements. The final shirt in this trilogy features a large image of Luke Skywalker with Star Wars written in glitter red text over the image. This is a pale grey shirt.